French army issue winter cap with plush ear flap. The cap outer is in olive green poly-cotton material and is fully lined on the inside in olive green wool. 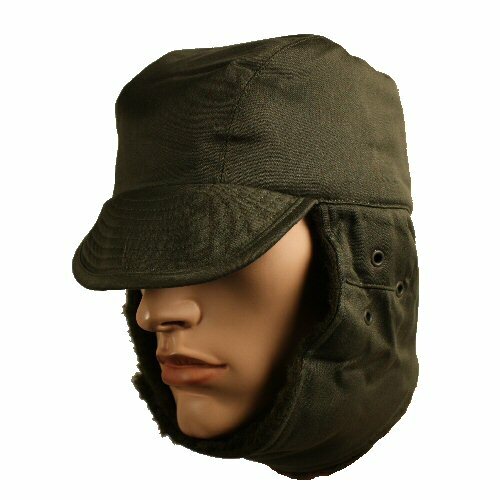 The ear and lower head flap can be folded away on the top of the hat and secured with velcro or folded down over the head and ears and secured under the chin with velcro. Cap is suitable for winter, spring and autumn wear and is ideal for anyone spending lenthy periods of time in exposed weather. Whilst the cap is not waterproof, its layers will ensure water-resistance for some time in light to moderate rain. Three rivetted eyelets are provided in the area of the ears on both sides. Machine washable on a gentle cycle, hang to dry. 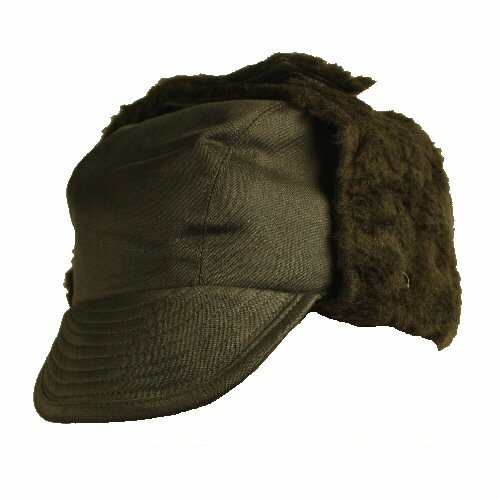 Generic olive green colour makes this cap suitable for cold weather hunting, shooting, walking, birdwatching and other outdoor activities. Available options are: 55 , 56 , 57 , 58 , 59 . The cap with the peak up. 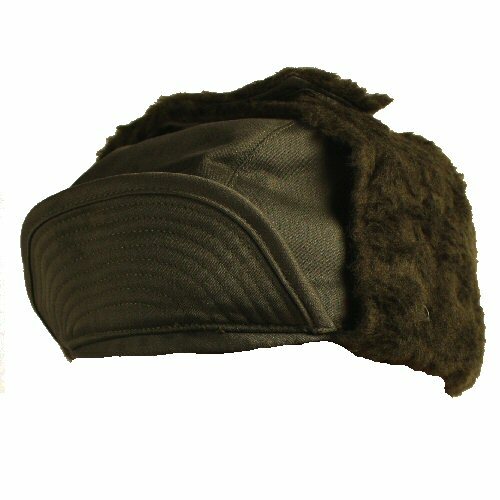 The cap with the ear flaps down and secured under the chin.